One of the biggest Twitter ads mysteries is: What’s the best way for businesses to use it? Recently, Twitter has worked to make advertising more robust and simpler, so any enterprise can benefit from trying it. Follower campaign ads increase your visibility. This is essential to social media success and might be the perfect option for any business that recently “joined the conversation.” You get two great benefits from this campaign: Your posts appear as Promoted Tweets in others’ feeds and your account is highlighted in Who to Follow boxes throughout the site. If you want to go deeper, you’ll also find optional audience specifications. These include things like people they follow, interests, behaviors, demographics, events that appeal to them, and even whether they own a pet. Retargeting users who have been to your site is also an option. After setting your bidding options, you’ll write tweets for prospects’ mobile and Web timelines. These tweets will automatically have a Follow button inserted. Images or links can easily distract users from following, so keep these tweets simple. Twitter generates HTML code for you to place on the relevant page of your website – such as your order page or email signup page. Once the code is installed, Twitter ads automatically track conversions that take place. This ad offers a unique advantage: The ability to target precise keywords, not just “interests.” This gives you the chance to associate your ad with specific topics that targeted users have searched for or tweeted about. It’s a well-known digital marketing fact that the easier it is to opt into an offer, the more people will do it. 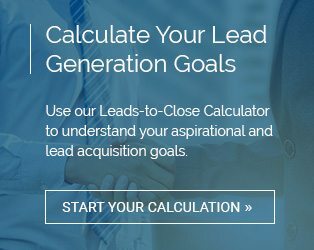 Leads on Twitter ads empower you with a unique Lead Generation Card allowing users to act on your offer in just one step. When you select Leads on Twitter, you’ll go through the same audience and budget selection options as in a Follower Campaign. At the end, you’ll create a tweet to become your Lead Generation Card – a highly visible call to action button is included at the bottom. The email addresses users submit are centralized right on Twitter for you to reference anytime. Twitter advertising is simple and effective, combining ease-of-use with strong customization. It should be part of any social media-savvy brand’s online prospecting strategy.